Outlook Express. 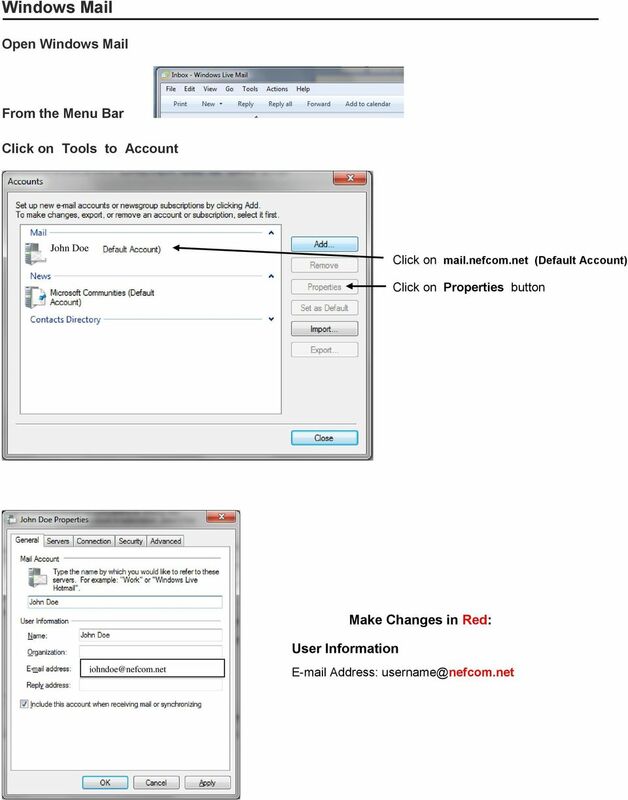 Make Changes in Red: Open up Outlook Express. From the Menu Bar. 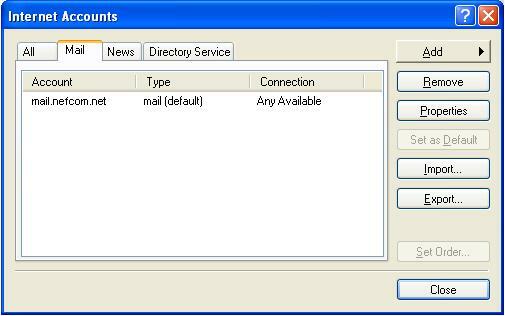 Tools to Accounts - Click on Mail Tab. 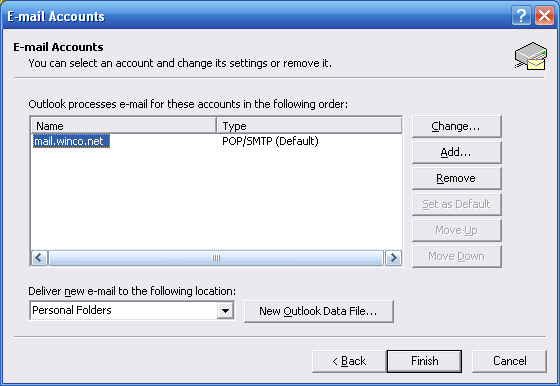 Download "Outlook Express. 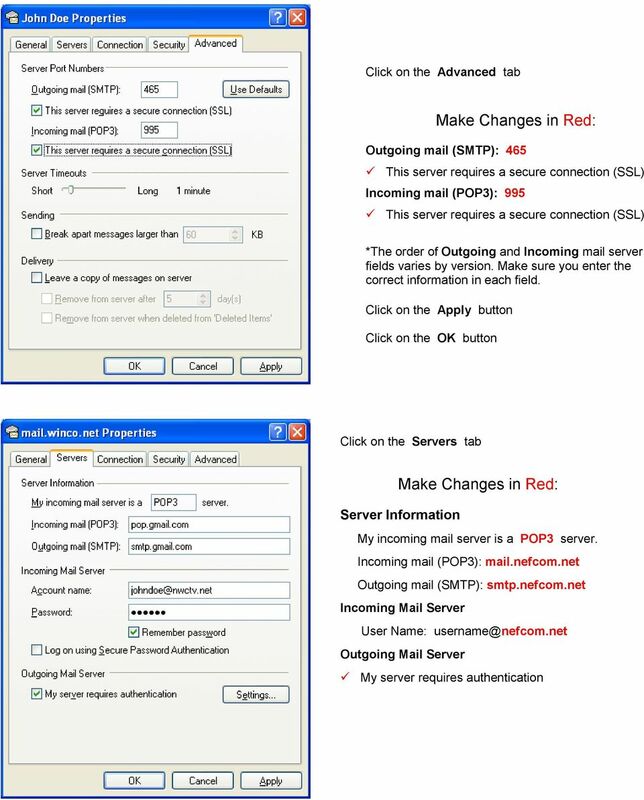 Make Changes in Red: Open up Outlook Express. From the Menu Bar. 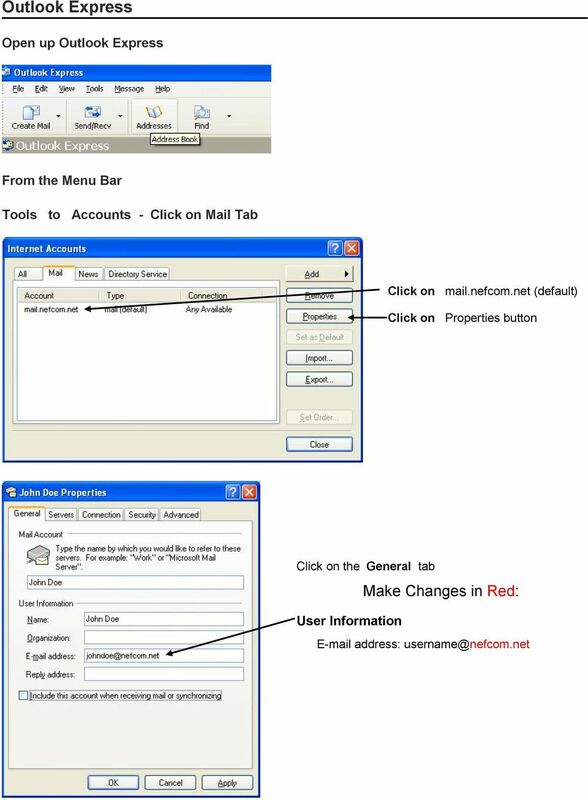 Tools to Accounts - Click on Mail Tab." 6 Click on the Outgoing Server tab Make sure to mark: My outgoing server (SMTP) requires authentication Use same settings as my incoming mail server Click on the Advanced tab Incoming server (POP): 995 This server requires an encrypted connection (SSL) Outgoing server (SMTP): 587 Use the following type of encrypted connection: TLS Click OK. Click Next. Then click Finish. Congratulations! You have successfully configured your client to send and messages. 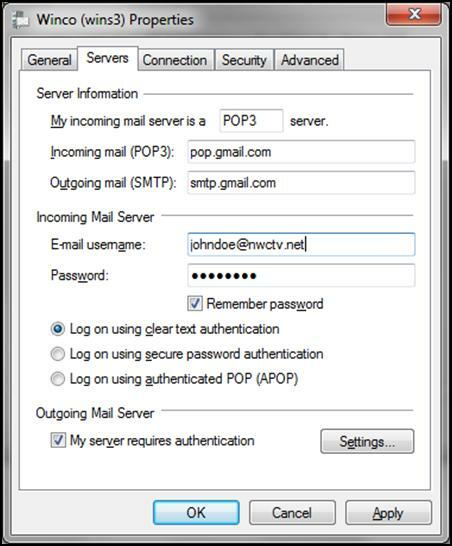 8 Click on the Servers tab Server Information My incoming mail server is a POP3 server. 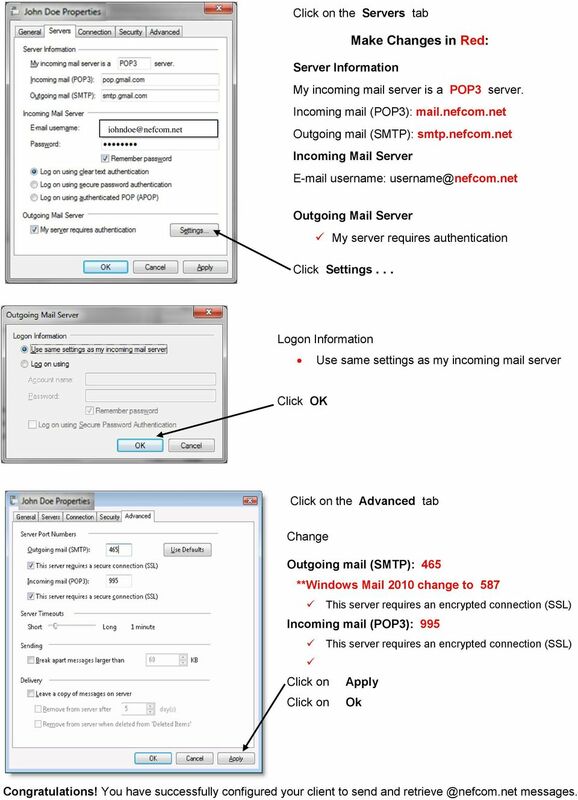 Incoming mail (POP3): mail.nefcom.net Outgoing mail (SMTP): smtp.nefcom.net Incoming Mail Server username: Outgoing Mail Server My server requires authentication Click Settings... Logon Information Use same settings as my incoming mail server Click OK Click on the Advanced tab Change Outgoing mail (SMTP): 465 **Windows Mail 2010 change to 587 This server requires an encrypted connection (SSL) Incoming mail (POP3): 995 This server requires an encrypted connection (SSL) Click on Apply Click on Ok Congratulations! You have successfully configured your client to send and messages. 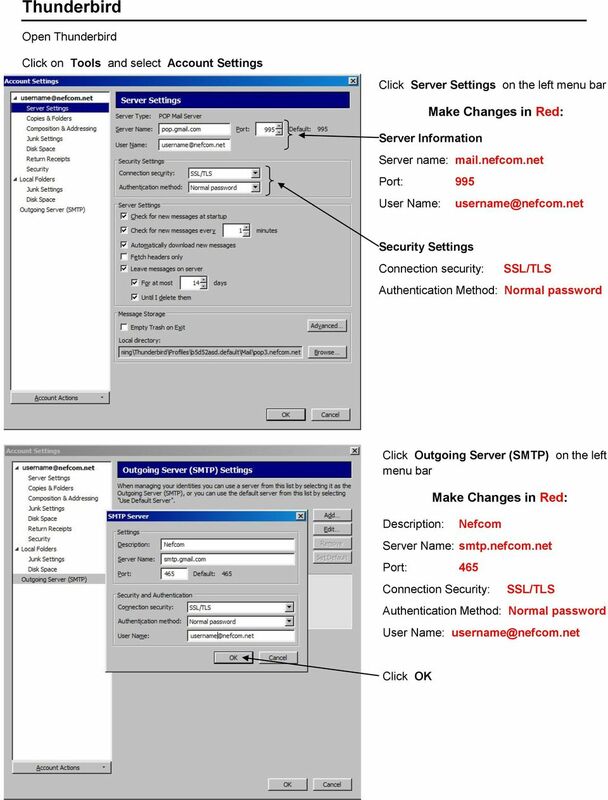 10 Click on the left menu bar Outgoing Server (SMTP): Nefcom smtp.nefcom.net Click OK Congratulations! You have successfully configured your client to send and messages. Open Thunderbird. To set up an e-mail account in Thunderbird, from the Tools menu select Account Settings; choose Email account; then click Next. 1. Open Thunderbird. If the Import Wizard window opens, select Don t import anything and click Next and go to step 3. 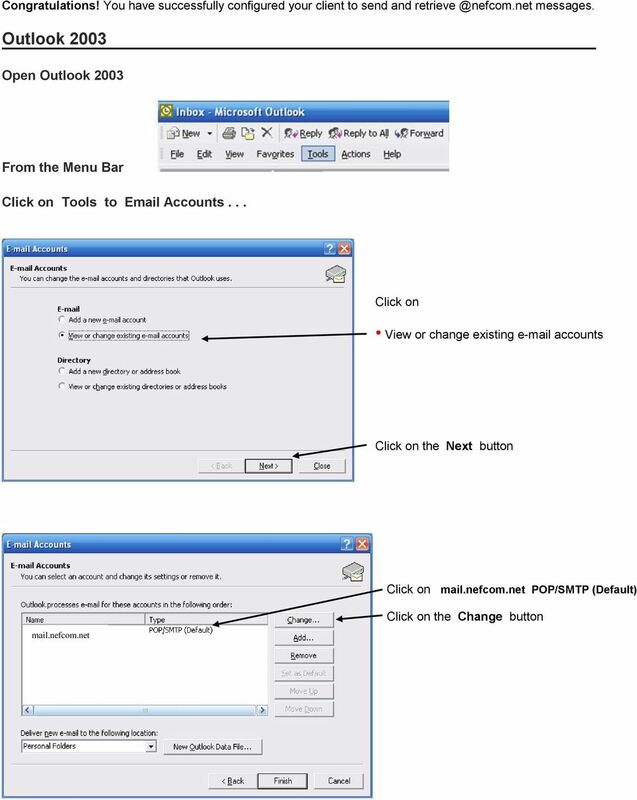 MICROSOFT OUTLOOK 2003 Follow these steps to update an Outlook 2003 account to send and receive e-mail using GCMUNI's new mail settings. Before you start, you must change your temporary GCMUNI e-mail password. If your client does not support SMTP authentication, you won't be able to send mail through your client using your MonroeAccess email address. 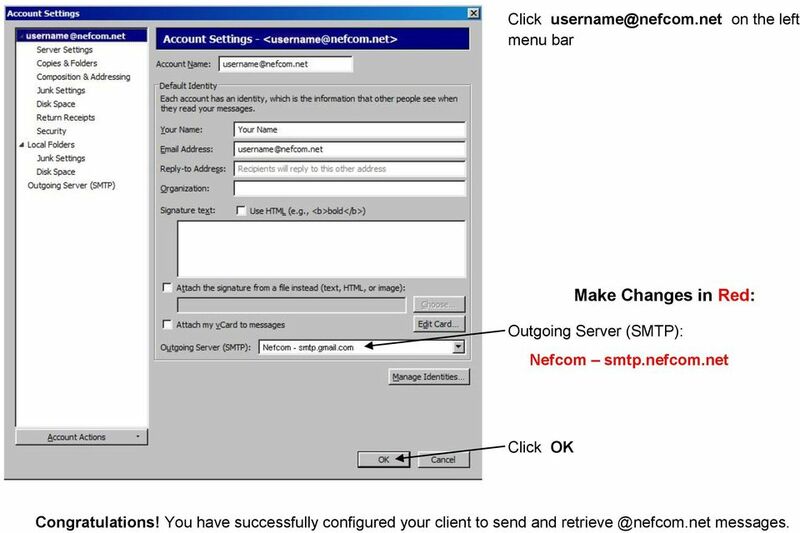 NeoMail Guide Neotel (Pty) Ltd NeoMail Connect Guide... 1 1. 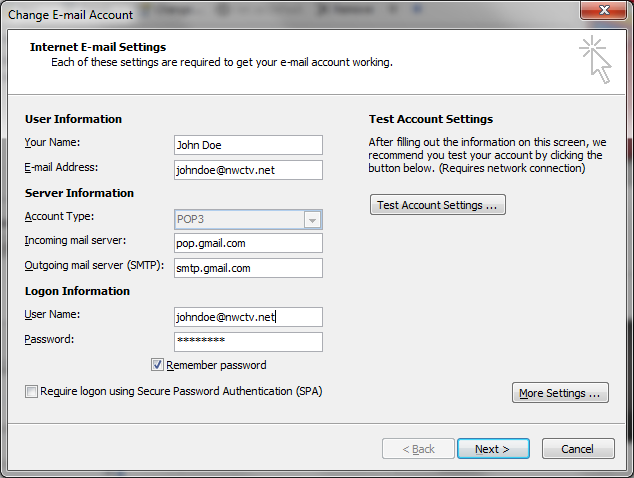 POP and IMAP Client access... 3 2. Outlook Web Access... 4 3. 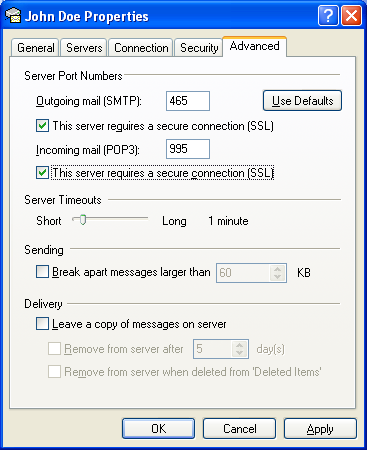 Outlook (IMAP and POP)... 6 4. Outlook 2007... 16 5. Outlook Express... 24 1. 3. On the E-mail Accounts wizard window, select Add a new e-mail account, and then click Next. Windows Instructions (This documentation is based on Outlook Express version 6). 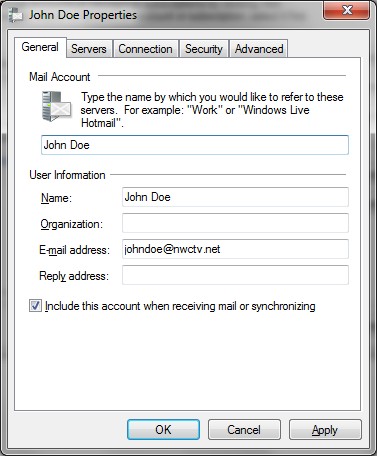 Outlook Express is no longer a recommended email client as it can cause unnecessary network traffic and server overload. You may use port 587 if port 25 is blocked by your internet provider. This does not apply to customers using PolarComm internet. CHARTER BUSINESS custom hosting faqs 2010 INTERNET. Q. How do I access my email? Q. How do I change or reset a password for an email account? 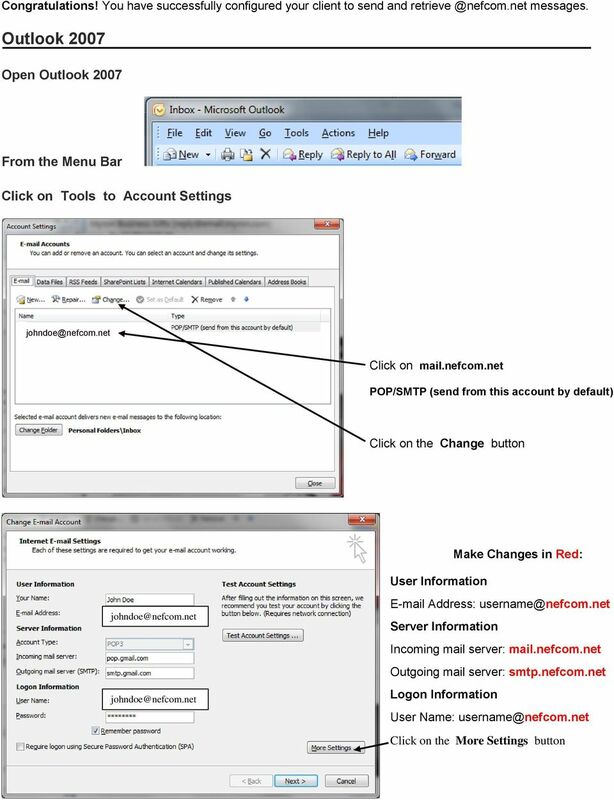 Before starting to use the new system you will need to know the password to your e-wire email account. 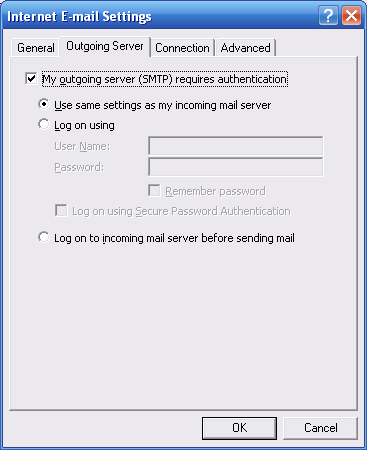 Here are the steps to configure Outlook Express for use with Salmar's Zimbra server. Select "Tools" and then "Accounts from the pull down menu. Getting started with IMAP for Aggiemail What is IMAP? 507-214-1000. This information is provided for informational purposes only. Email setup information for most domains hosted with InfoRailway. 1 Login to your CSUF student email account and click on the Settings icon ( ) at the far right.